Welcome Back! Sorry for the hiatus of blogging. Between traveling and visitors, July and August have flown by! I will try to be more consistent through the next weeks, although my work schedule is getting pretty crazy these days. Let’s back it up to the last week in July. This was when I had my last post of an Unplanned Rest Day. 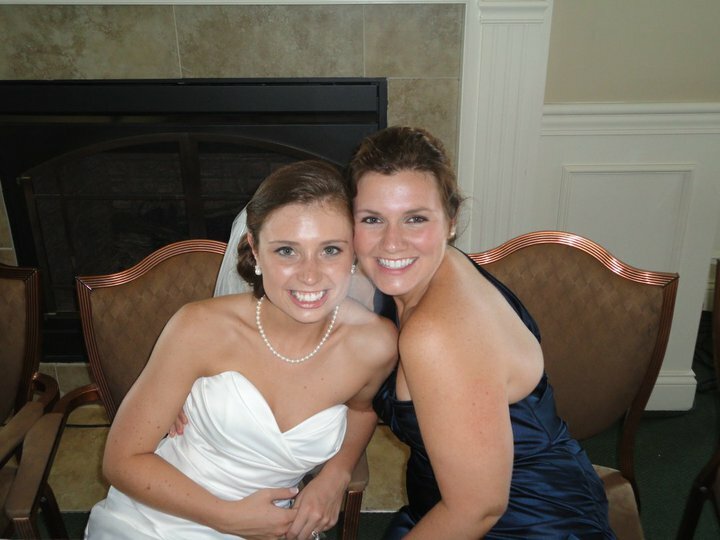 That weekend I flew to Indianapolis and visited my best friend, Adrienne, to shop for her wedding gown! It was a success and she looks absolutely stunning! I can’t wait to be her Maid Matron of Honor for her and Gordon’s big day next summer! On the running front, my training weeks have continued to be productive. Right on track in my 18 week training plan and I have a 13 mile long run tomorrow to end my 6th week! I can’t believe I’m almost a third of the way finished! While I was visiting Adrienne, I stuck with my plan and got a 6 mile run in before we went dress shopping. It felt great to be running even though I wasn’t at home, especially after that plane ride. I certainly didn’t take for granted the flat terrain of Indiana, I am so used to running all kinds of hills now! 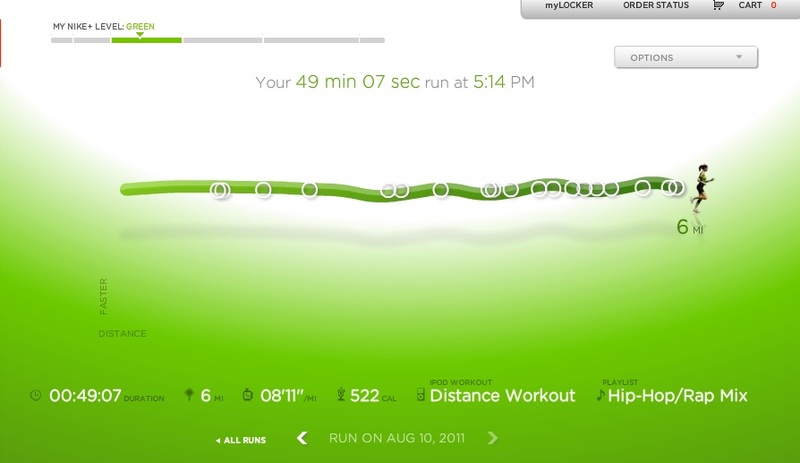 Week 5 (last week) was a good week of running, too. Got a 3 miles behind on my weekly mileage, but it’s still early on so I’m not worried about a measly 3 miles. On Saturday I had a 12 mile run planned and my sister-in-law came up from Charlotte to run with me. She is training for the same marathon and we had a girls weekend. It was nice to have a partner for once! This brings us to week 6. This week has been an AWESOME running week. This past Sunday I finally used a gift card for a massage that B got me for my birthday. I was planning to use it after I finished my half marathon in April, but I never did. I got a deep tissue message and holy cow, I now know why people get those monthly memberships to message places. My muscles were so tight and in need of some attention, the massage therapist even commented on how tight they were. She gave me some tips to do at home in between messages and for that 60 minutes, I was in heaven. Messages and running you may not think go hand in hand but like I said, this week has been an AWESOME running week. 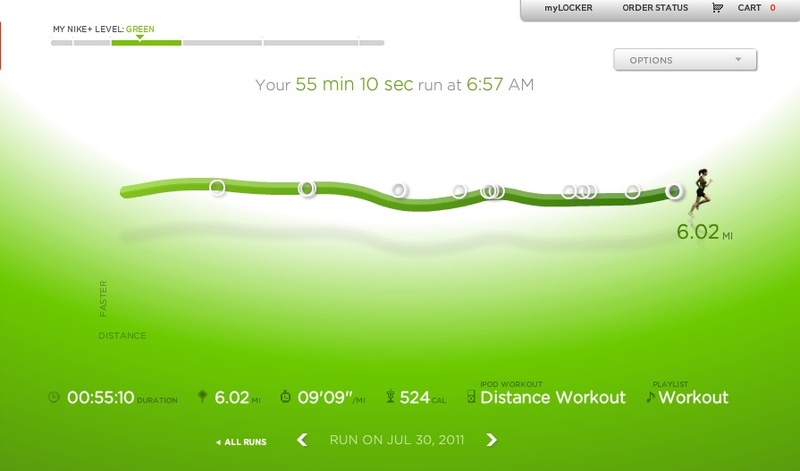 I ran my fastest 10k (6 miles) ever on Wednesday. I didn’t start the run out thinking I wanted to beat my fastest 10k to date (51:12 from ironically, last Friday after having several days of rest). I just started running and once I hit 3 miles I thought it would be neat to see if I could break 50 minutes for 6 miles. So I wonder if I could maintain that 8 minute mile for longer? Could I eventually, after more conditioning break 47 minutes? I won’t be trying much speed work until after the marathon, that’s the #1 way to injure yourself, but I’m curious as to what my full potential is.